Miss White Fury ~ tassel twirling was her specialty! WHITE FURY AND HER TWIN 44s! 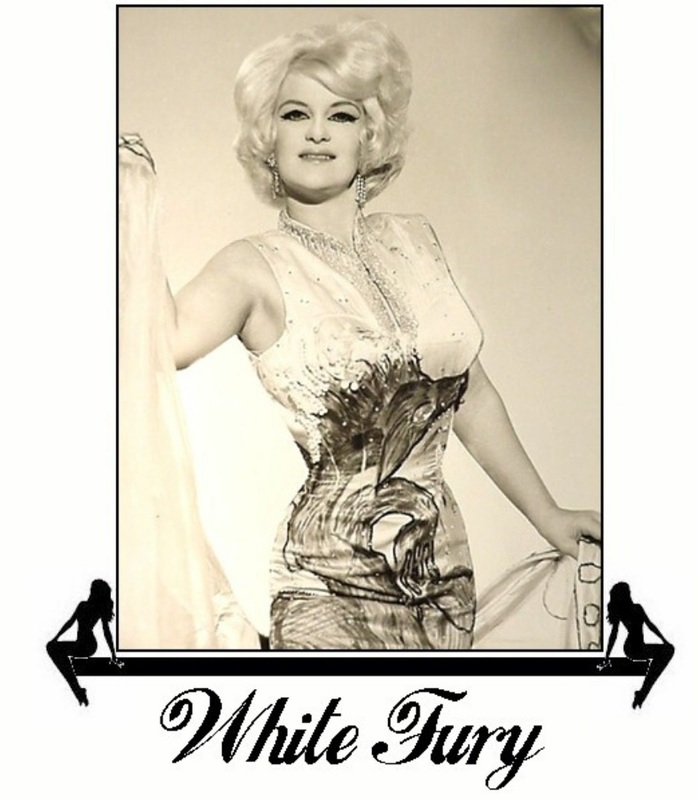 See her today: Miss White Fury appears in the new Burlesque history documentary film Behind the Burly Q. See more promo photos on the Burleskateer blog, where the author tells us Miss White Fury was also known as Patti Moses. There She Is — On the Cover!